The European Parliament's chief Brexit negotiator has called on the UK government to retain membership of the Erasmus student exchange programme after the nation leaves the European Union. 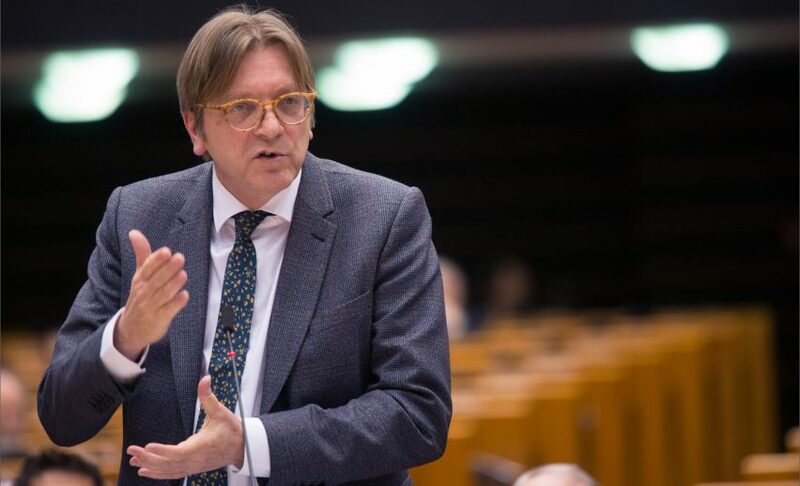 Guy Verhofstadt tweeted yesterday that he wanted the UK to remain part of the pan-European programme. "I hope UK students can continue to participate in #ErasmusPlus programme & the reverse," he wrote. "We should avoid a tradeoff on this!" The UK would have to pay to remain part of the programme if it left the European Union. Set up 30 years ago, Erasmus has allowed more than four million students to study in another European country. The programme funds grands and allows tuition fees to be waived. In 2014 it was renamed Erasmus+ and expanded to include volunteers and apprenticeships. The programme now has 33 full member countries, including non-EU states such as Iceland and Norway. After the UK's Brexit vote last summer many figures in the design world expressed concern that future generations of students would lose out if the UK left the scheme. Schools also worried that they would lose overseas students as a result – the UK is the third most popular exchange destination for foreign students. "It's something we're desperately concerned about," said Jeremy Till, the head of Central Saint Martins (CSM), last July. Brexit negotiations are due to begin next Monday 19 June but have been complicated by last week's general election, which resulted in a hung parliament.